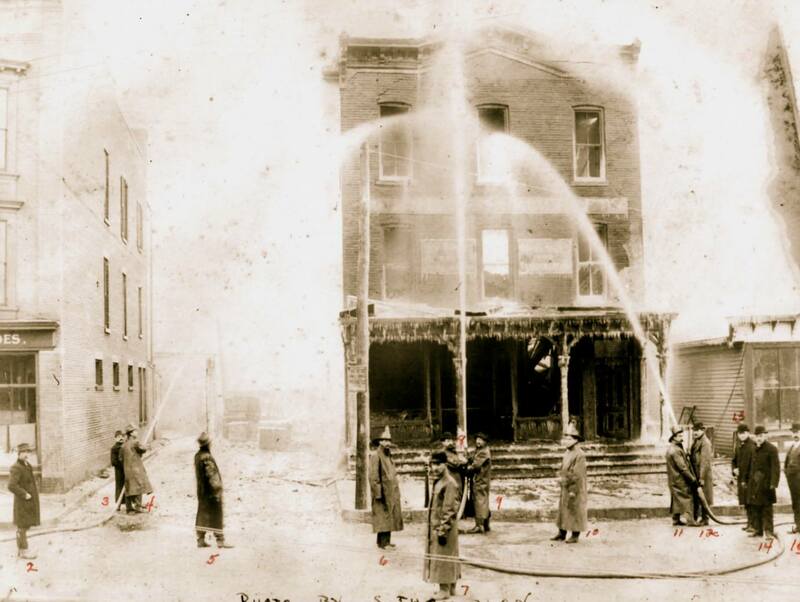 Fire destroyed Strait's department store in the winter of 1902. Ex-mayor Morford B. Strait built a new store on the site, which later became a bank until 2016. Ogg Collins is listed as (1) at far left, but he was cropped out of the print version of the photograph.